Throughout the course of the hockey season mechanical skills may stumble. Bandits Goalie School offers private lessons throughout the season for any goaltender that might need a tune up on their skill sets. Our private lessons are one on one and last 60 minutes. In this hour, a Bandits instructor will hone in on specifics that a goaltender might be struggling with or the instructor can broaden the spectrum and run the goalie through an array of different drills. 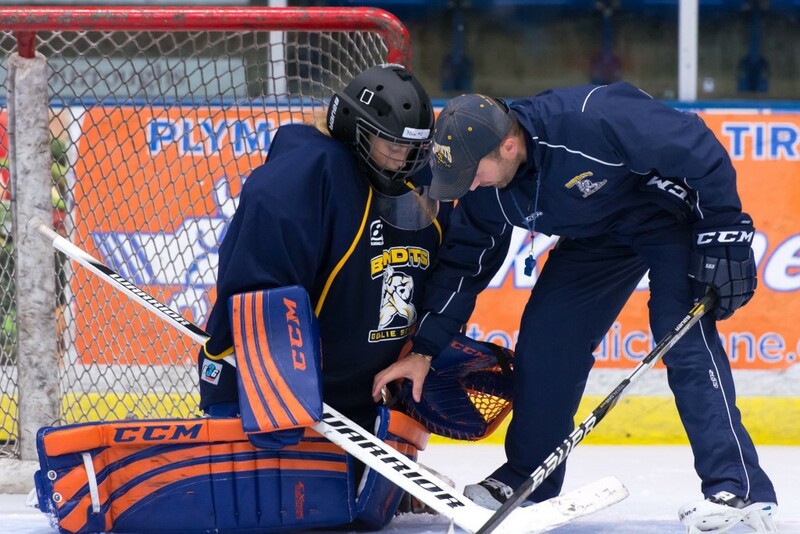 At the end of each private lesson, the instructor will recap the lesson with the goaltender and their parents to make sure everyone understands what needs to be worked on in order to progress in the right direction.